The euphoria of moving into a large, new apartment or spacious ranch is over, done and dusted. The reality has set in; you now face the daunting task of decorating your cavernous rooms in such a way that you make the most of your space, while at the same time giving it that wow factor and coordinated look! Decorating large spaces can often prove a more daunting task than creating space in a small home. Because space is generally not an issue in big rooms, the tendency is to throw things together and simply muddle along. But, what a mistake – what a missed opportunity to create impact and a sense of cozy warmth and home comfort! But before anyone goes crying the blues over your “too-much-space” problem, keep in mind that it’s almost always better to be faced with too much space than not enough. 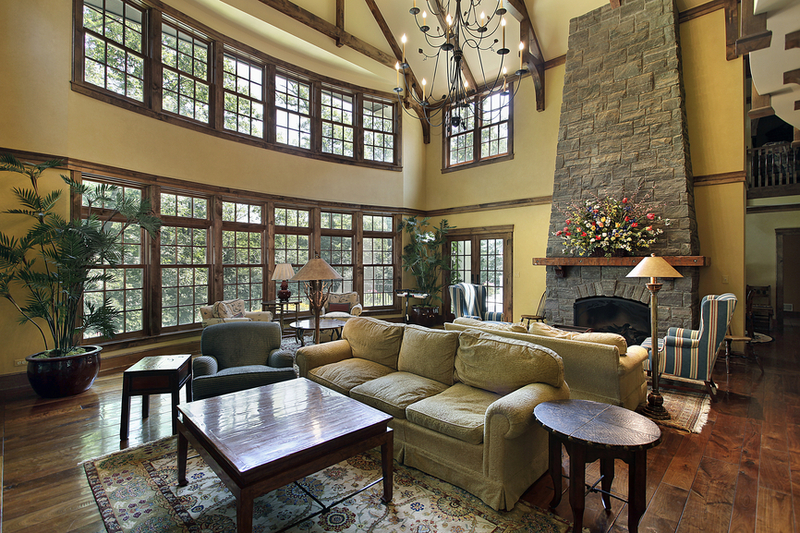 Here are 13 interior design tips to turn big, cavernous rooms into cozy, comfortable retreats. You really need to live in a place for a while to get to know how the space works for you. This advice is particularly true of large sized rooms, such as grand living rooms. It’s important that you get the measure of things, first, in more ways than one. Only then will you know how to use all that extra space to best advantage. Warm red, yellow and orange-based color schemes add instant warmth to large rooms. Use warm earthy colors or neutrals with splashes of warm color to create coziness. Remember that dark colors, in general, tend to make large rooms appear smaller. Think vertical with tall walls. Large walls will benefit from chair rails in coordinating or contrasting colors and patterns. Paneling is another idea for scaling down and “drawing in” large areas of wall and making them appear less overwhelming. Beams and rafters, in natural stripped wood, will also add to a cozy feel. The key to getting the balance right in big rooms is to have one or more focal points, perhaps using a favorite piece of furniture or a dramatic wall hanging. A warm, inviting fireplace always makes a great focal point in an otherwise cold-looking room. Much, of course, depends on the style and layout of your room. Don’t be afraid to stand out from the crowd by introducing a focal point that may not be wholly in keeping with the room, but is nevertheless of great sentimental value to you. In addition, don’t feel obliged to buy new large items of furniture that you sense are more in keeping with the dimensions of your large room. Smaller pieces can work just as well, provided you position them carefully. Depending on the angles and “natural” divisions within a large room, you could consider creating a cozy corner or two, so that the room can be used for more than one activity. Think of it in terms of introducing different areas of functionality, in different parts of the room. A reading corner, a homework area, an informal eating area, a games or arts and crafts corner would all lend themselves perfectly to enhancing the layout of a large room. 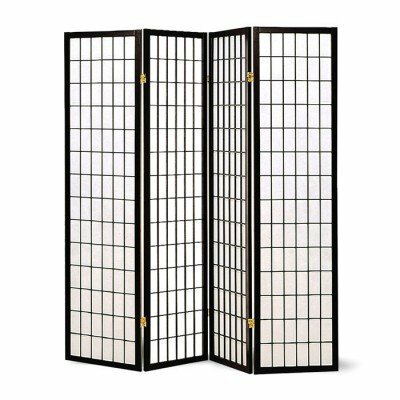 Add character to your cozy corners with a cheap and cheerful room divider or, in more traditional-style settings, an antique foldaway screen. 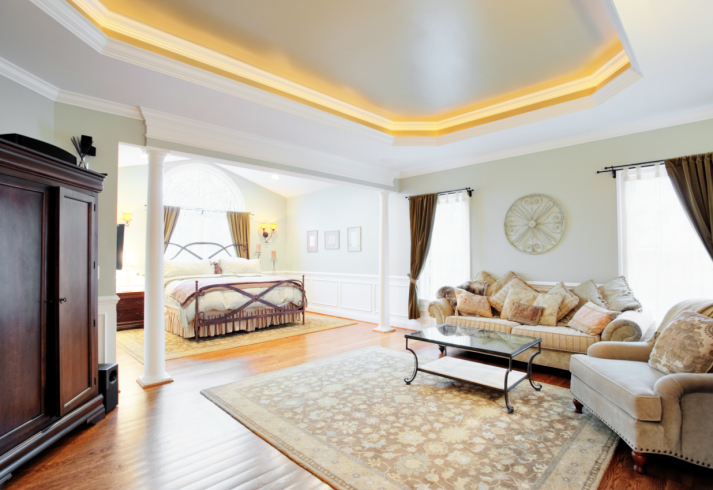 The cardinal rule is that softer lighting always makes big rooms appear warmer. 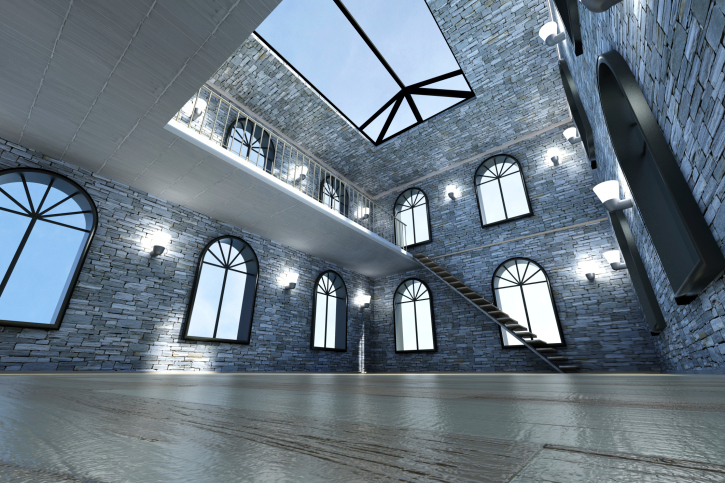 High ceilings, even if painted in cozy colors can still sometimes seem a little bleak. Avoid central pendant lighting, at all costs. Solution: draw attention away from the empty space, with clever lighting fixtures. For example, a quality drum shade covered in warm colored fabric that matches your upholstery will have the effect of drawing the ceiling closer and adding warmth to the room. Standard lamps and table lamps can also be used to add warmth and accentuate the sectional feel of large rooms. Low, pendant lights over large dining tables will help to reduce that ceiling void. Professional interior designers place much emphasis upon getting the lighting right, especially when decorating a room from scratch. Those in the know are all too aware of the fact that lighting must be chosen to complement the décor and enhance the overall effect. Sadly, too many home decorating enthusiasts overlook the vital issue of lighting and its potential to make-or-break the overall feel of your home. For some great lighting solutions and ceiling lamp options, click here! Factors such as whether a room is north, south, east or west facing make a big difference to the type of lighting you require. Your choice of color scheme is also central to making the most of the available amount of natural light in a room. For example, a bedroom that faces east and enjoys a burst of early morning sunshine will look very different, late at night, when the only source of light is artificial. Likewise, a west facing room that is at its glowing best, during early evening, may look dull in the morning and need strategically placed lighting to compensate. A north facing room enjoys less sunshine than either a south or west facing room. This is why you need to take a long, hard look at the position and layout of your room, before selecting and deciding upon lighting that will complement your décor. But, whatever the aspect, clever lighting and color schemes can compensate for the lack of daylight. • Textiles: Cozy up with textiles such as throws, wall hangings and curtain panels to mellow the ambiance, in large rooms. • Ceilings: Make a large room with a high ceiling feel cozier with color: Large rooms can be made to feel smaller and cozier, if you use warm colors to bring the walls “closer” and the ceiling “lower”. Soaring ceilings are a feature of many spacious rooms, and with a splash of color you’ll be surprised how easily a cozy feel can be achieved. • Upholstery: Big, bold upholstery comes into its own, in big, open settings. Opt for generously proportioned sofas or large club chairs that scream, “sink into me”. 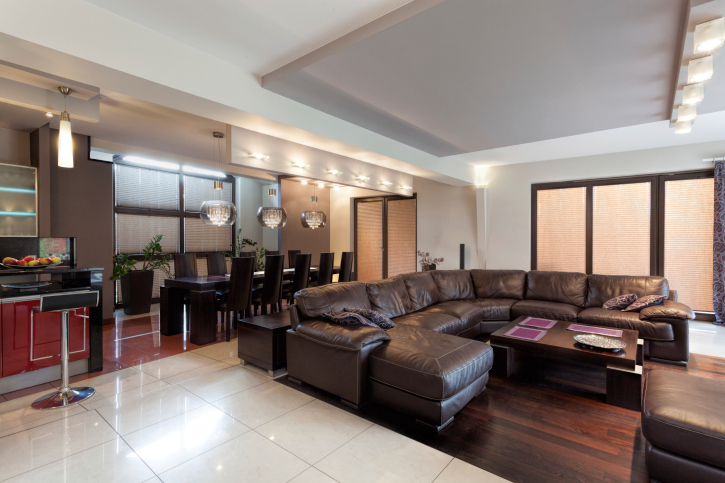 One of the main benefits of large living rooms is that you can get away with two or more sofas, arranged in such a way as to divide the room into separate areas. Be sure and check out our fabulous collection of spacious Great Room designs to see how top designers flawlessly pull all of these elements together! • Desks: Desks look good in large living rooms. Use them, for instance, to create a sectional effect, in a large living area. There are many types of desks you can choose from, and really be useful in breaking up large areas. 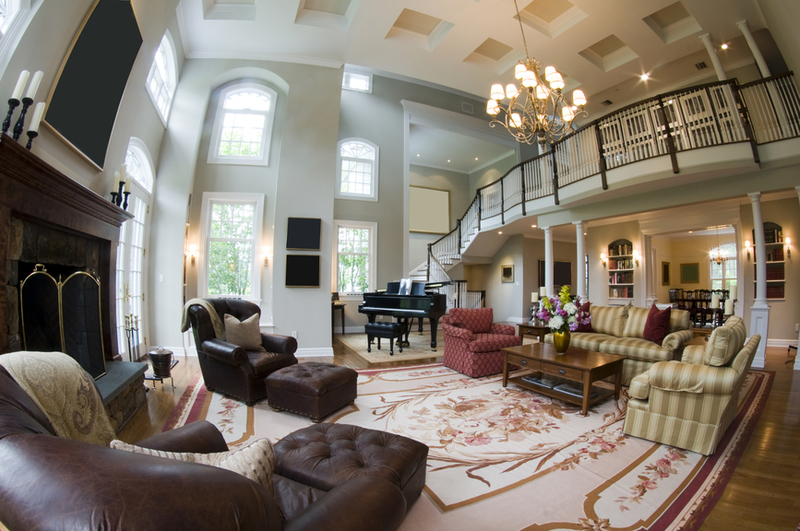 • Multiple seating areas: I LOVE large rooms with side reading sections. Creating a little reading area fills in a large room while adding functionality. Hotel lobbies do this. See the image below as an example. • Entrance halls: Large hallways should never be used as a dumping ground, however large your family! In traditional hall settings, a grandfather clock, or maybe an antique tallboy or chest, cannot fail to impress. Floor to ceiling bookshelves, also look appealing, in both modern and period settings. • Dramatic effect: Add a dash of drama to a large living room or bedroom with an ornate ottoman or chaise lounge, or even a large daybed (now, incidentally, back in favor in contemporary settings). An antique bench or reclaimed church pew would also add character to a large kitchen/dining room. • Rugs: Use one or more quality rugs to “mark out” the separate areas in large rooms. Leave a generous perimeter around rugs, in large rooms with wooden flooring. • Piano: A piano takes up a lot of space and can make a room look fabulous (especially a grand piano). Before making any major large room decorating decisions, take a long hard look at what works for you, and what doesn’t. When you’ve “lived” in a place for a while, ideas evolve which you know will work well with the structure and layout of the rooms. Make notes and keep them to hand when making decisions at the home center or D.I.Y. store.